In continuation with our strategy for prelims 2019, today we will throw light on ‘How to prepare for Geography?’ for preliminary examination. Geography could be divided into Indian and World Geography and has overlapping syllabus covering Economics (like Iron Steel industries), Agriculture (Soils, Irrigation), Environment (Types of Vegetation, National Parks), Demography with Map and Current affairs being its core area. *Geography and Environment are closely interlinked and it will impractical to strictly segregate them. Certificate Physical and Human Geography by Goh Cheng Leong. School Atlas by any good publisher like Oxford University press, Orient Longman. Keeping tab of Current affairs from national Leeds like The Hindu, major geographical events like Tsunami, earthquake etc. 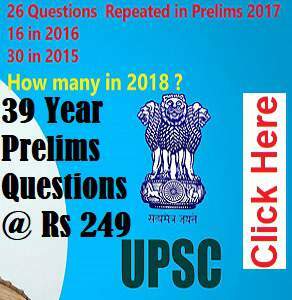 Getting your Basics Right: UPSC always attempt to test your conceptual understanding of the subject. Thus getting hold of fundamentals should be primary aim. Getting the Facts Right: Like every other subject geography is filled with facts, names and numbers thus it is important to keep a note of these figures. Your Map is your guiding light: Most of the geography based questions is/are directly/indirectly linked with maps and the trends suggest that these questions are here to stay for a while. Thorough knowledge of maps (India and World) location, important cities, physical features, river system, passes and peaks could be and should be studied from maps. Link with Current Affairs: Most of the static topics from the subject are dynamically linked with the National and International events. Thus it is very important for every serious aspirants to study in the same manner. Identify the low hanging fruits: There are sub-topics from where you could expect question to definitely pop-up. Questions based on minerals, ores etc. Old is Gold: We highly recommend you to work out all basic questions from previous year papers, preferably from 2007 to get good hold of question trend and conceptual understanding. 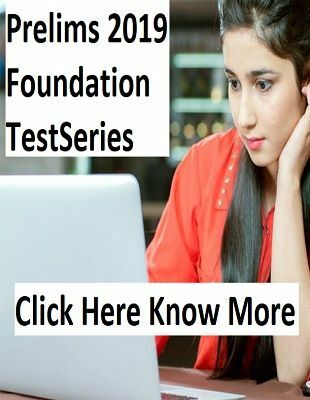 Joining Standard test series to track your preparation and to know the surprising areas and pattern in which questions could be asked. The simple strategy to success is to keep the strategy simple, stick to basics, have a clear conceptual understanding and revise and revisit what you have learn. Keep an eye on future strategy blogs and analysis.